AfriClassical: Morgan State University Choir Performs with Baltimore Symphony Orchestra in their Annual Gala Event! Morgan State University Choir Performs with Baltimore Symphony Orchestra in their Annual Gala Event! 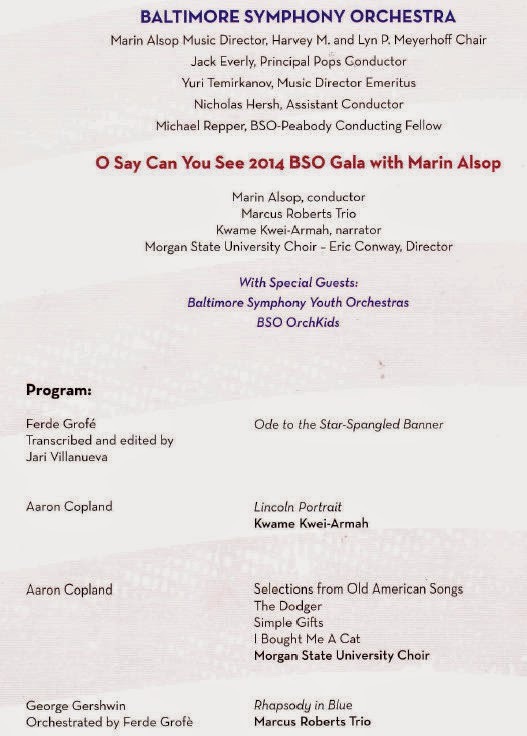 Many of you may know that the Morgan State Univeristy choir performed with Marin Alsop and the Baltimore Symphony Orchestra on last Saturday night during the orchestra's Annual Gala event. Please see the attached program from the evening where the choir figured prominently in the evening's presentation singing excerpts from Aaron Copland's Old American Songs with the orchestra. 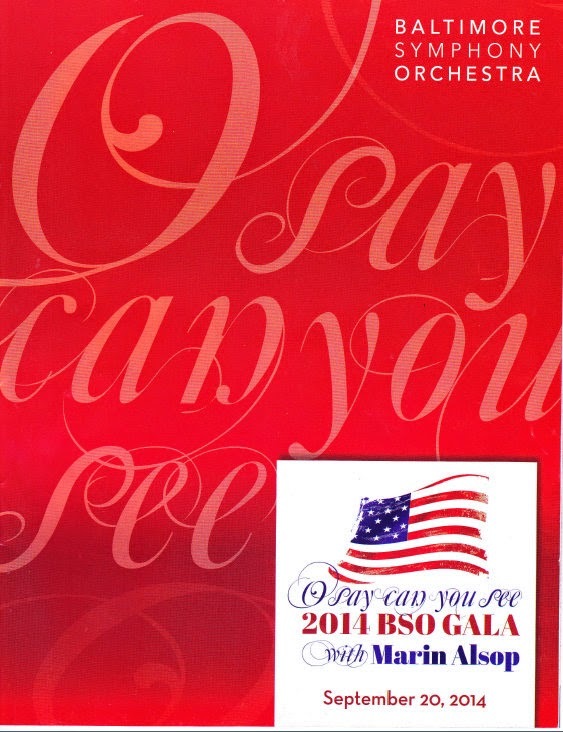 As you can tell from the program cover, the BSO chose to continue the theme from last weekend's Star Spangled Spectacular for the gala!